There are many causes of burnout for workers and volunteers. Often workers feel alone and unsupported, many become overwhelmed with responsibility, feel unappreciated or overly daunted by lack of perceived progress in achieving a particular goal. Many are not remunerated properly and, because of the nature of the work, don’t advocate for good pay and conditions. Vicarious trauma is one of the greatest reasons for burnout and is caused by the constant exposure to the trauma of others in the work place and the stress of finding solutions to serious practical and emotional issues faced by others. 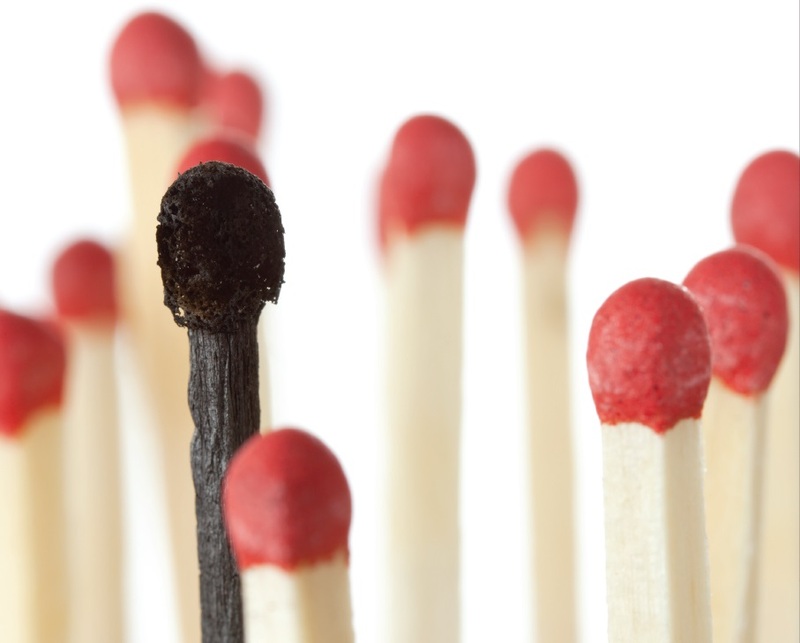 I believe that the single most serious cause of burnout is isolation and lack of support or supervision and unclear expectations of the work role. Often we don’t talk about the issue because it’s seen as a weakness in our approach or that we are not doing our job properly. Nothing could be further from the truth. I have been working in the community for the past 40 years and in the South Sydney community for the past 30 years as a youth worker, project worker counsellor, community activist and now CEO of Weave Youth and Community Services. Weave provides support to young people and families who are socially excluded and our aim to build a stronger more connected community. The organization I work for has a clear vision for the work and a strong understanding of how communities can be healthy and happy. We have a very supportive workplace and all staff get internal supervision as well as external support of their choice. The roles in the organization are clear and there are many opportunities to discuss the work and how we are coping and feeling. I think that the reason I have stayed in the youth work I have chosen is that I have a strong understanding of the positive impact of social justice and the political system we live in. My work is grounded in an understanding of what impact I and others can have, and I also know the limitations of my role. I truly believe that equity and equality bring us together, provide opportunities for all and create a healthy community. The reason I mention this is that it grounds me and gives my purpose clear meaning. On a more practical note I know the value of cooperation with others and have been able to seek out support when I have needed it. I have always sought out supervision and advice to better understand the often difficult and traumatic work we do. Emotional exhaustion is a major cause of burnout for many and the most dangerous thing to do is ignore the warning signs that this stress causes. It can manifest in lack of sleep, taking work home, not being able to separate yourself from work and loosing personal perspective. In my early years of providing support to young people on the streets of Redfern I was supported weekly by an independent clinical supervisor who helped me gain perspective and keep a good work life balance. At the time I got this support my employer couldn’t afford to pay for the external support but I was able to find a co worker in another agency that provided the support for free. For many Aboriginal workers the pressure of personal issues impacting on their work life can be much greater. The family demands and past personal trauma that some Aboriginal people have had to face make this work challenging. The cumulative impact of vicarious trauma can be much greater. Being aware of these issues and talking about them can provide space to reflect on how you are travelling emotionally and what impact the work is having. There have been times in the past where personal issues have impacted on my work, particularly the death of my father. At this time I sought personal counselling and was able to identify what was happening for me. Just being aware of the impact was enough for me to separate the two and continue to counsel young people with similar family issues. To maintain my balance I try to keep fit by starting every day with a swim, not working excessive hours and making sure that I put a good deal of effort into my personal friends and family life. I look after myself by having personal interests completely outside the work context in cabinetmaking and woodwork as well as other artistic pursuits and am involved with an inner city bike group that I ride with on weekends. We all know there are times when work becomes all consuming, I can’t tell you how important it is to take practical steps to keep that work life balance. I feel privileged to work in the Redfern Waterloo community and some years ago my staff held a community event to celebrate the 25 years I have worked at Weave. It was a surprise party at Redfern Town Hall. Lots of young people and their families turned up, this sort of recognition has also kept me going. It’s so important to acknowledge the work and commitment of others, it made me very humble and chuffed. The work we do in the community can be traumatic and emotionally draining. Many of the young people we work with have had past hurts and losses and some have suffered abuse that is emotionally overwhelming. Avoiding burnout in this work relies on being able to understand the stressors and triggers for burnout, talk to others, get counselling, supervision and debriefing and support our peers. Having a supportive workplace that takes time to build team morale and offers time out when necessary. Finally self care is vital for reducing the likelihood of burnout, it’s different for everyone but includes eating well, physical fitness and mental wellness. Taking time out for friends and love ones or interests outside of work and enjoying being alive.